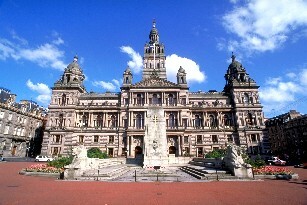 The welcome reception will take place at the Glasgow City Chambers. The City Chambers in Glasgow, Scotland has functioned as the headquarters of Glasgow City Council since 1996, and of preceding forms of municipal government in the city since 1889, located on the eastern side of the city’s George Square. For more information see: Glasgow City Chambers. The conference dinner will take place at the Glasgow Science Centre, located beside the River Clyde. Glasgow Science Centre is one of Scotland’s must-see visitor attractions – presenting concepts of science and technology in unique and inspiring ways. Attendees will be greeted with a traditional Scottish bagpiper. For more information see: Glasgow Science Centre. Glasgow is just an hours drive away from the Scottish highlands. Therefore, we encourage attendees to take this opportunity to see the beauty and splendor of the Scottish mountains for themselves. We will be arranging an optional tour, details of which will follow in due course.